Plans have now been submitted. 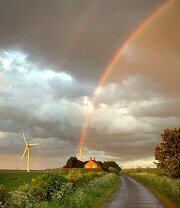 MOST IMPORTANT - Back Local Windfarms - here below is the page where you can read about, comment on and support the Lenchwick Windfarm planning application. Please register your approval - it won't take long, but you're support could make all the difference. Use this link below to see the plans and make a comment: Look for the "Comment on this application" heading at the top of the Planning Register page, when link below is opened..